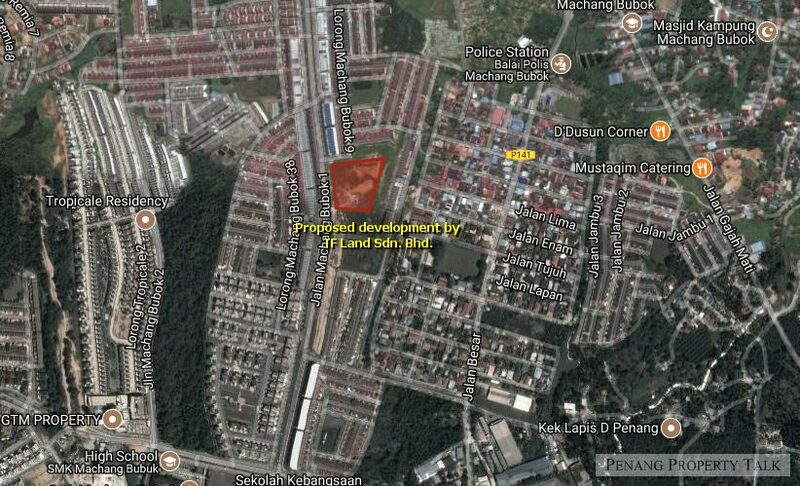 A newly proposed mixed development proposed at Machang Bubok by TF Land Sdn. Bhd. Strategically located along Jalan Machang Bubok 1, adjacent to the 3rd phase of Bandar Machang Bubok development. It’s about 5km away from AEON Mall at Alma, under 20 minutes drive to Kulim Hi-tech Park. This development comprises two blocks of serviced apartment (Block A – 185 units, Block B – 126 units) and 35 units 3-storey shop offices. This is still pending for approval. More details to be available upon project launch. Property Type : Serviced apartment & shop office. Developer : TF Land Sdn. Bhd.